The fight against terrorism, climate change and migration-related issues were at the center of the European Union-Arab League ministerial meeting held Monday in Brussels. The two sides reviewed ways of enhancing the partnership between Europe and the Arab world and promoting multilateralism. They also discussed issues of migration, the crisis in Libya and the situation in the occupied Palestinian territories. Discussions will be furthered on all these topics at the first EU-Arab League Summit scheduled to be held in Sharm El Sheikh, Egypt, February 24-25. 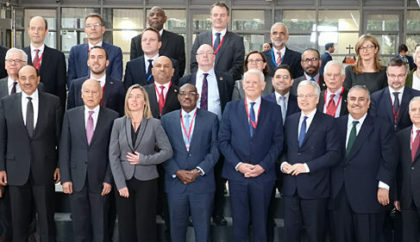 The meeting was co-chaired by the EU High Representative for Foreign Affairs and Security Policy, Federica Mogherini; the Sudanese Minister for Foreign Affairs, who is currently chairing the Arab side at ministerial level, Mohamed Ahmed Al-Dirdiri; and Secretary General of the Arab League Ahmed Aboul Gheit.